I am thinking about installing TT RSS on my server. Usually I am reading my rss feeds in the evening on my iPad. 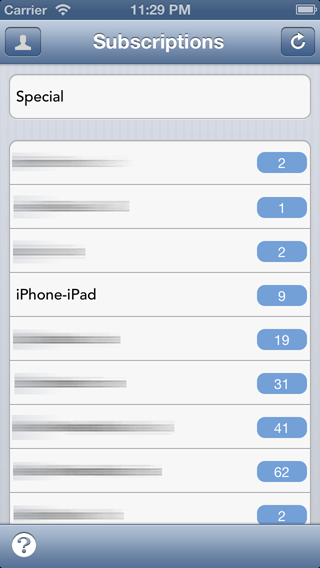 Because of this my question: are there any good iOS apps for iPad or iPhone available which supports the TT RSS? Looking forward for your advices. +1 for the Fever plugin. Along with the Reeder app, which I believe is now free of charge. Works a treat. I'm new to the TT RSS community. Since Google Reader is gone, I was looking for something like TT-RSS. I've installed the software on my Synology NAS, thanks to the Synology community for providing us this great package. 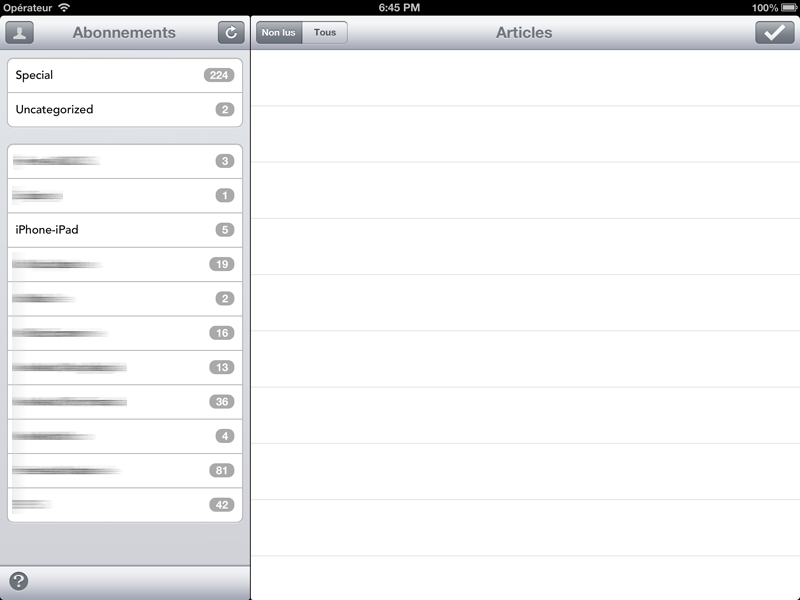 On iOS, my favorite reeder is not compatible with TT-RSS, so I've decided to write my own app, using the powerful API. I've almost finished a stable beta release for iPad. The functionalities are basic : login, get categories, feed, articles and mark articles as read. 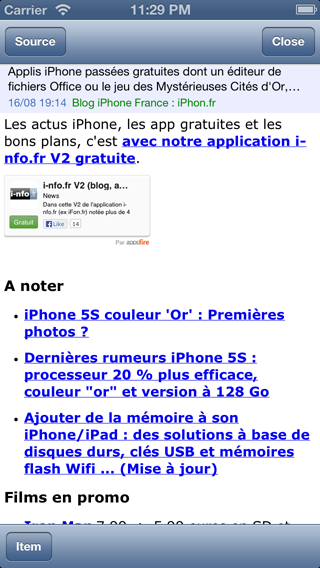 For now, the app is not yet localized, so it's still in French only. 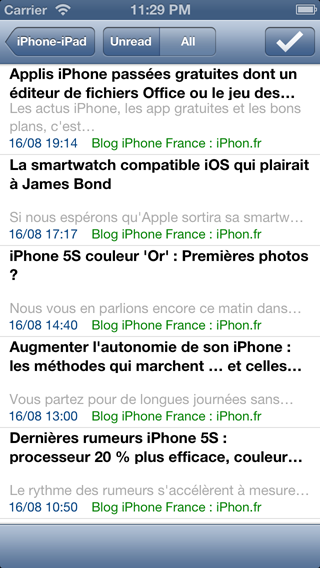 I read feeds on iPhone, so I've planned to make an iPhone app too. I think that I'll publish the apps to the App Store. I don't want to write a full feature app, but if the functionalities available are enough for reading feeds, I think that people can be interested. The app will be of course Free. If you're interested to test the App you can contact me. That looks really nice. I'd definitely be interested in this, especially an iPhone version. And while I'd like an English localized version, I know enough French to where a non-localized version wouldn't stop me from using it. If you'd like or need beta testers, I'd be happy to help out. I've finished localizing the app in English (there are only about 30 labels, so it's pretty quick and easy). I've made some changes and bug fixes and now the app seems very stable (at least, on my test configuration ). jdelamater99, do you have an iPad to test ? Just send me your UDID if you want to beta-test the app. I think the same - the view is great! I'd like to beta test your software (iPhone and iPad mini) and would do a german translation; If you are interested. The screenshots look really nice. Clean and simple, exactly what I like. Will there be a way to sync and read articles offline? I'd be happy to help with a German localization. flo and joergb, thank you for help. I need only one translator for German so I don't know which of you will do the translation ? 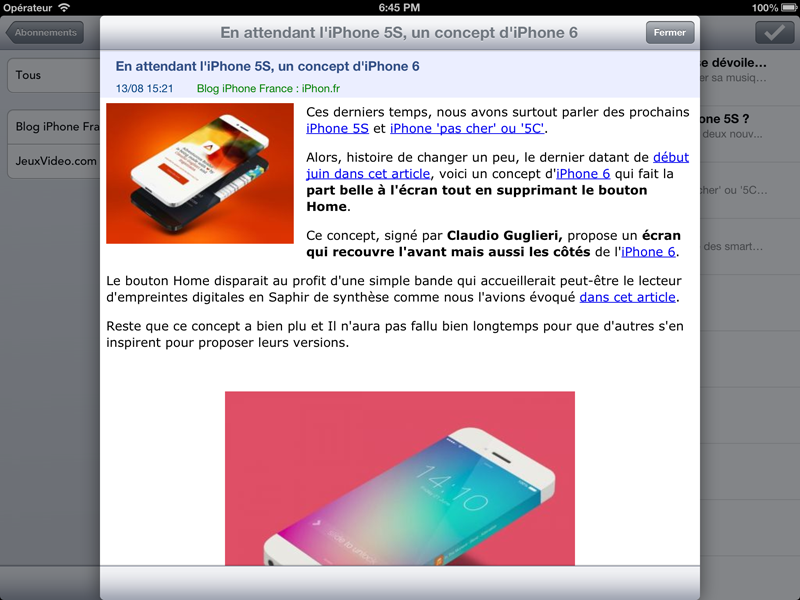 If you want to beta-test next release, send me your UDID (by Private Message). flo, I've not planned offline reading because my app do not have any local database. It could be a future feature, but I'm working on my spare time and it needs a lot of work. I think there is more features missing in this first release before eventually working on an offline version. OK, I've sent file for german translation to joergb.